David Brooks Is a Sap. And So Am I.
I'm a sap, a specific kind of sap. I'm a David Brooks sap. When the conservative New York Times columnist praised President Obama for putting forward “heterodox” ideas “drawn from the middle of the ideological spectrum,” I believed him. When he warned that a double-dip recession would be “terrible for America's workers, fiscal situation and psyche,” I believed him. But I am a sap. Today Brooks criticizes Obama, more in sadness than anger, for relying more heavily on tax increases than entitlement cuts to reduce the deficit. It's a double standard Brooks has applied many times before. Once again, he is demanding that the president offer excessively generous, politically risky compromises, even though Obama has repeatedly proposed such compromises only to have Republicans reject them. Once again, Brooks is taking the administration to task for proposing “worthy” initiatives rather than the ideal ones, when its adversaries are proposing initiatives that are useless at best and counter-productive at worst. Whatever its flaws, that law is the most far-reaching and serious effort at controlling health care costs in American history. Obama's latest deficit reduction proposal would strengthen that effort by tightening Medicare's spending targets and allowing for co-payments that encourage more efficient care—an idea, by the way, that conservatives once applauded. This column barely acknowledges that part. This was the sort of column that read better when Robert Samuelson wrote it. I believed Brooks when, in a moment of clarity this summer, he declared the radical elements in charge of the Republican Party “unfit to govern.” I always believe that Brooks is on the verge of breaking out of conventional punditry and admitting that, in today's political environment, the Republicans are simply less high-minded and reasonable than Obama and his allies. Then he always pulls the football away. Brooks has gone back, as an appreciative Jonathan Chait observed recently, to the “posture of even-handedness, sadly laying blame upon both sides with an emphasis on Democratic culpability.” So when Brooks says we need even more cost control for Medicare, which he is right to point out, he can't acknowledge that Republicans have fought such efforts with the most contemptible and hypocritical demagoguery, going so far as to suggest that Obama's wants to create death panels that will pull the plug on grandma. Today Brooks is sounding like George Will, only without the bow tie and pretense. 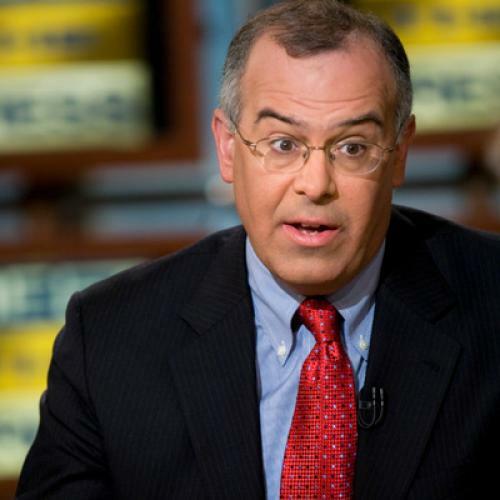 Brooks acknowledges that the press imposes a false equivalency on American politics—that the media assign equal blame to both parties for the dysfunctional politics when in reality the Republicans are more rigid and extreme. Then, inevitably, Brooks does the very same thing. He gives readers little morsels of hope—with his elegant writing, his intellectual curiosity, his congenial tone—and then rips them from our mouths. To be a Brooks admirer is to toggle from admiration to frustration and, ultimately, disappointment. With this column, Brooks has decided to write about politics as a conventional conservative pundit. I guess I understand the choice, but I still believe he can do better. I think he has a genuinely open mind and an utterly commendable commitment to civility. And I think those things are compatible with reasonable, if still (by my lights) overly conservative, arguments. I know. I may be the last one. I'm a sap. Update: For more serious responses, see Steve Benen and Andrew Sullivan.